Crystal Practice Management has been custom developed every step of the way for optometry professionals and vision therapists. Crystal PM provides offices with the most complete and customizable Health Records on the market, secure electronic claims for almost all insurance carriers, an exhaustive billing component, and a multi-doctor scheduling program. All this at a mere fraction of the price of other software titles. Your office's inventory has never been so precise or profitable. Crystal PM has integrated insurance claims and patient billing into one of the most comprehensive and easy to use accounting software packages on the market. Our advanced Scheduler enhances the way your office handles appointments. 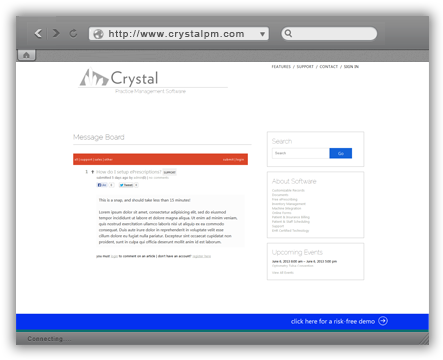 Maximize speed and efficiency in your office through Crystal PM's Scheduler. Every office is different, and at Crystal we realize that. Our health records are completely customizable. Crystal PM has years of experience working with optometry offices. And our support reflects that. We offer a variety of walkthrough videos and documentation. Furthermore we provide exceptional support through telephone email and our extended onsite training services. Beyond making a great product, it is also our responsibility to ensure you are able to utilize the complete benefits of our practice management software. 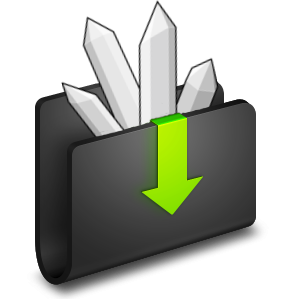 There are no hidden charges; Crystal PM is a complete and comprehensive software package that has all the features you will need to manage an optometric office. 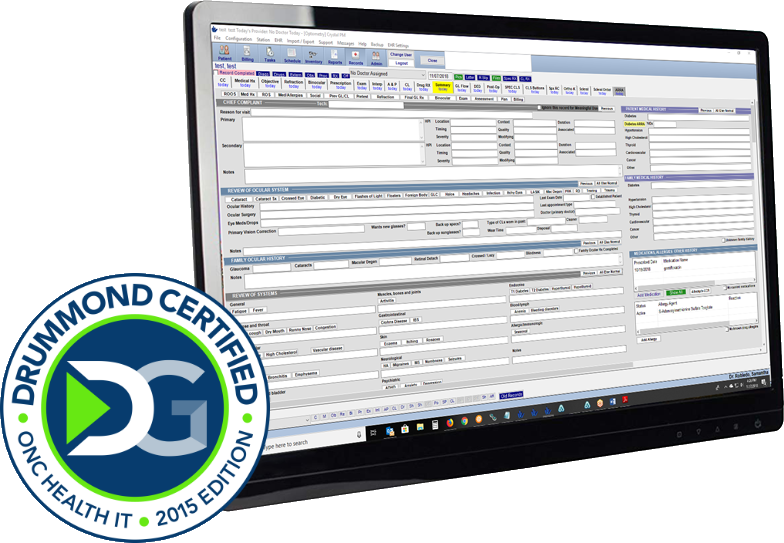 It comes with many features that many other practice management software packages charge extra for, including electronic medical records, electronic filing of insurance claims, and frames inventory. The only non-standard products we have is our onsite training and data conversion services.